Guitar Blog: Is success on guitar random? In recent years there have been quite a few books written on the subject of how random events control our destiny. Books like 'Outliers' and 'Blink' by Malcolm Gladwell can leave one feeling like a victim if taken too seriously. 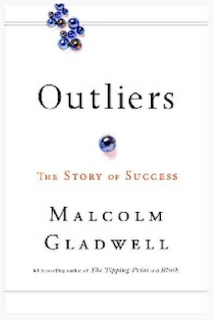 Gladwell describes how your birthday may have played a big role in whether you went on to succeed in life. The year, the place, your nationality, your parents etc all play a role in determining your possible outcomes in life. Add to this the pure randomness of life and becoming successful on guitar for example will look like a long shot. After all how many people ever really achieve their teenage dreams (and don't say your teenage dream was to own a house with a pool)? The Drunkard's walk is a mathematical term that refers to a succession of random events. An example might be the stock market or a weather pattern or a person's life. Basically anything where the next step cannot be 100% predicted in which every new step is random to some degree.This usually occurs where there is a number of variables that can determine the outcome. The term comes from that of a drunk person walking. You never know which way they will sway or if indeed they will be standing when they take their next step. If you drew a line after their walk it would appear random in comparison to the person walking in smooth consistent strides. The Drunkard's walk can also be applied to the life of every living person whether they be a sports champion, a politician, a billionaire, an artist or a homeless person. No one can avoid the random events that occur on their life journey due to the infinite number of variables. If you read the Jimi Hendrix biography you will quickly see how it was a combination of both planned and random events that took him to the top. When Hendrix was just a young child he would pretend to play guitar on a broom stick. He obviously had a passion for guitar at this early age and despite the fact that he had no guitar was already preparing for his future. Hendrix had many setbacks along the way but a series of random events took him to the UK where he found fame and then returned to the US and went on to become perhaps the most famous guitarist of all time. It would be easy to assume that Hendrix was extremely talented and was therefore destined to be a superstar but without many of the random events that occurred he may have just become another musician playing the clubs across the America or worse. If randomness rules why bother trying? Now if randomness plays such a big role in success is there any point in even trying? The answer is yes of course. The point is Hendrix would likely still have played and practiced just as hard. Even if he didn't become famous he would have been doing what he loved. Random events do play a role in our lives and do influence our outcomes but only a conscious effort to practice will ever make you a great guitar player. Hendrix made a conscious decision to practice for hours everyday and to see as many guitarists as possible and learn at every opportunity. The random events did play a very important role and in this respect you can say Hendrix got lucky but his guitar skills were not the result of luck. Randomness to me is like the game 'Snakes and ladders'. The aim is to get to the top and reach your goal. The snakes are random events that set you back and the ladders are those fortunate events that push you closer to your goal. If you keep moving toward your goal the odds are you will get there. Some people will be lucky and avoid most of the snakes and stumble across lots of ladders where as others will keep landing on snakes but as anyone who has played the game will testify, with perseverance you will eventually get to the top. The great thing about real life is we are all at the mercy of random events. I believe its what we do when faced with a set back that makes the difference.